Thanks to its distinctive abilities Kronos is able to dose very small amounts of chemical products, down to 0.01% of its maximum flow rate. 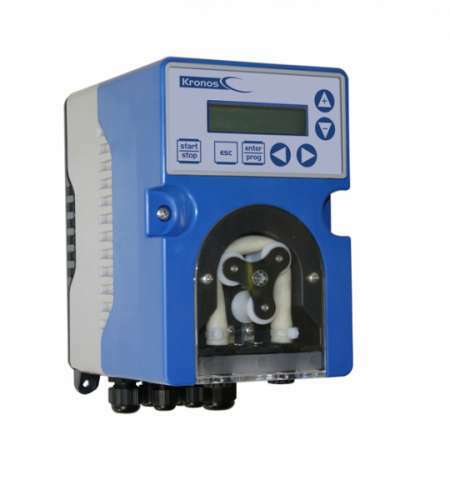 The metering function is particularly accurate and reliable over a long period of time. The software is the result of research and development processes that Seko continuously devotes to its products. The innovative electronic control used in the Kronos series prolongs the accuracy of the dosing, the life of the motor and provides ultra quiet operation (<35dB). The Kronos CR/IR variant has a conductivity measure integrated with two (2) different configuration: – manual mode (constant dosing) (set-point range 100.15000 μs accuracy 1% probe k1 (c1).